On July 20, 2010, we wrote that British author, Alan Shadrake, 75, been arrested in Singapore because of his book, Once a Jolly Hangman. Shadrake had foolishly let himself be enticed into a visit to Singapore to promote his book and was summarily arrested. Since then, a Singapore court has convicted Shadrake convicted of contempt of court for his book as it challenged the integrity and independence of Singapore’s judiciary. Shadrake was sentenced last month to six weeks’ jail and a S$20,000 (US$14,600) fine—the heaviest punishment handed down in Singapore for contempt of court by way of scandalizing the judiciary. Shadrake has appealed the Singapore court’s decision, and had decided to request the court’s permission to leave Singapore, pending his appeal. Did Shadrake really think Singapore would let him leave the country so easily? The book I wrote with my wife, Escape from Paradise, was banned in Singapore—not by any court, but by influential lawyer Helen Yeo—influential because she is the wife of former Singapore cabinet minister, Yeo Cheow Tong. Helen Yeo objected to a remark we made about her in our book. The remark itself was not incriminating, but Helen Yeo feared that it would lead to certain documents which would compromise her reputation. After our book was banned, our gift to Helen Yeo was to publish the “compromising” documents she feared on our website. Would my wife and I ever venture a visit to Singapore, given that our book has been banned? No Way! 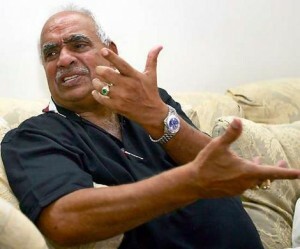 After his sentencing and a stay for his appeal, Shadrake thought he might be able to leave Singapore—that is, until Singapore mentioned that, to do this, he would have to post a bond in the amount of approximately US$55,000 or more. Shadrake got his idea for his book in 2005, when he interviewed and wrote about Darshan Singh, Singapore’s executioner for nearly 50 years. The chilling details from this and further interviews with Singh were included in Once a Jolly Hangman. Mr. Singh carries out the executions wearing simple casual clothes, often just a T-shirt, shorts, sports shoes and knee-length socks. Prior to the hanging, the prisoner’s arms are pinioned behind the back with handcuffs and straps. The executioner than hastens, at a brisk trot, the prisoner into the execution chamber—no time for thinking. 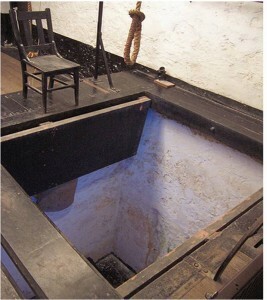 The noose is slipped around the prisoner’s neck, a white hood is placed over his (or her) head, and, at precisely 6:00am, the trapdoor opens. Death is said to be instant. The “jolly hangman,” of Shadrakes’s book, Mr. Singh, started his job in 1959 when he was only 26. His fees for hanging earned him S$30 (US$22) per head in his early days. Mr. Singh has hung “over 1,000, can be under.” On one well-rewarded day alone in 1997 Singh hung 18 people, doing three at a time—said to be a world record. For his good deeds, Mr. Singh’s fees were increased, finally reaching S$400 (US$235)per hanging. Shadrake wrote, “He tried to train two would-be hangmen to replace him, a Malaysian and a Chinese, both in the prison service, but when it came to pulling the lever for the real thing, they both froze and could not do it,” according to a colleague. One of the most controversial executions in his career highlights was the 1991 hanging of a young Filipina maid, Flor Contemplacion, who was convicted of the murder of a co-worker, Delia Maga, and her four-year-old son, on what many believed was shaky evidence. An all-rounder, Mr. Singh was an accomplished cricketer in his youth and was often opening bat. “He also used to cane convicted criminals after training in this field,” a colleague said. Mr. Singh now lives happily with his second wife and is close to their three adult adopted children. His first wife left him because she could not accept what he did—he had kept it a secret from her for years. To mark his 500th hanging several years back, four of his former colleagues turned up at his home to celebrate the event with a couple of bottles of Chivas Regal.